– Friedrich Nietzsche, Letter to Malwida von Meysenbug, Turin, October 20th, 1888. Of the subjectivist theories, those linked to Operaismo are strongly favoured by architecture. Operaismo, simply put and in terms of theory of the multitude, appears to embody the rebirth of idealism, for several reasons. First, because of a lack of subjectivist radicalism – shared subjectivity is theorised in abstracto- which refers neither to the true power of the Ego nor to Wittgenstein’s Solipsism, which “rigorously developed, coincides with pure realism” 4. Then, because it is not avant-garde enough, insofar as “being avant-garde is being in tune with reality” 5. The theory of the multitude seems to be yet another political ideal in the moralist tradition that our experience has shown to be an utter failure. Like every generalisation, it ignores, on behalf of the group or multitude of individuals, that “individuals are thus made that they show their lives. What they are, therefore, coincides with their production; just as much as it does with the way they produce it”6. This omission is a problem, because behind the social abstraction termed “the creative and productive practices of the multitude”7 lurks a huge number of productions of varying quality. One does not become an opponent merely by belonging to the cognitive multitudes, as it is shown by part-time advertising industry employees. The knowledge used or produced must be for another purpose than merely a reform of capitalism, where everyone claims his due in terms of money. The knowledge used or produced must be for another reason than just reforming a capitalist system in which everyone expects to be paid his due. As Wittgenstein perfectly expressed in “Tell me how you are searching and I will tell you what you are searching”, you must make the “how” to produce more important than the product itself, thus developing a true “critique of money” that goes much further than the criticism of commodity itself 8, by basing production on laws other than that of competition, while ensuring at the same time that there are indeed laws. 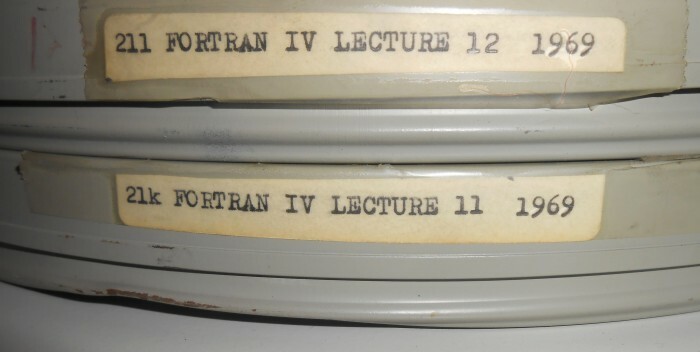 Tapes of Konstantinos Doxiadis’ Fortran IV lecture series, given in 1969 at the University of California, Berkeley. Doxiadis, especially thanks to the Delos symposia, is one rare example of architect who went really deep into the understanding of technology. His writings are still providing highly valuable insights. 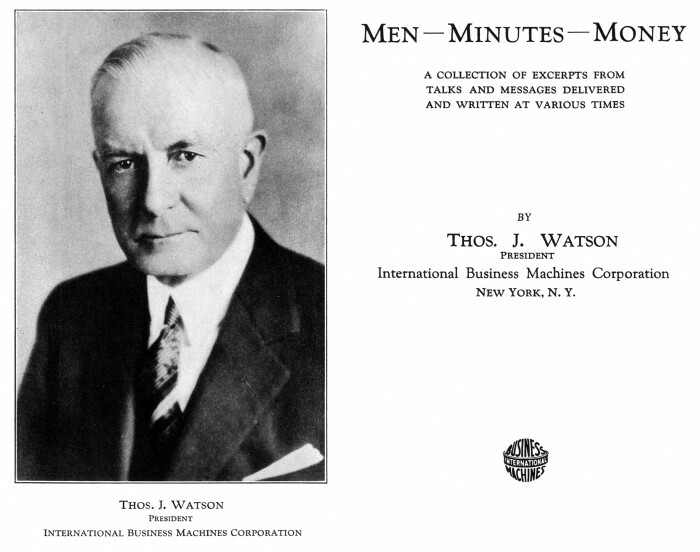 The book Men Minutes Money, published in 1934, presents a series of statements by Thomas. J. Watson, IBM Founder. Their main characteristics lie in an amazing anticipation of the importance of computational power (and therefore speed) in modern capitalism. An importance that one can acknowledge every day in the NTIC economy but also in every other domain, including the most traditional ones like finance, whose rules are fully redefined by the spectacular mathematization and computerization leading to high frequency trading. Although many claim lofty anti-capitalist moral imperatives, the reality is much more mundane. So much so that most left-wing “resistant” theorists resemble Dühring or Rodbertus, who both forgot (as Engels and Marx pointed out in Anti-Dühring and in the preface to the first German edition of The Poverty of Philosophy), that their Utopia either worked on capitalist laws or did not work at all. It is the same with the economic context in which the cognitive multitudes work, for it cannot escape the laws of capital gains or the value-enhancing process just through abstract work. It is also the same for the collective intelligence, about which the only thing we can say is that it externalises production and (re-)training costs, since it is constantly being swallowed up by the market itself. Although the most optimistic hypotheses on the development of production argue that it is its scientific and social nature that brings richness for all while work as such is merely the accompaniment of automated production, in reality the work accomplished by all the multitudes is remunerated in traditional fashion and assessed in terms of its function in the capitalist system. The first (and biggest) full map of South America at the scale 1:1 Millionth, opened the path towards large scale geomatics. In such maps, people could literally enter the space as one can do today on Google Map. Another common points is that this map was produced by a private institution, showing the shift from States owned maps towards corporations owned ones. The problem of the knowledge economy is not, therefore, that of the knowledge valorisation circuit, which would boil down simply to the opposition between good and bad capitalism, but the more classic one of how to use knowledge as a whole. This is a recurrent issue that has been widely explored, showing the boundary between revolutionary and reformist thought. The main line of exploration was to compare the respective roles of science, arts, the scientists and the intellectuals in society. This line can be traced from Alberti to Ray Kurzweil and includes Rousseau, Babbage, Russell, Oppenheimer and Wiener. Alberti’s early work On the Advantages and Disadvantages of Letters – a book which revealed that he was much closer to Nietzsche than to a wise humanist – noted that “as of then (1430) all the sciences, all the liberal arts which had been the consecrated training of the soul, collapsed and became servile”. Moreover, those whose job was animal husbandry and cleaning stables began to discuss human fate; those who were supposed to be lashing the backs of animals found themselves instead holding a sceptre and sitting among magistrates”9. Rousseau, although demanding in his most polemical early work “what would we think of scribblers who indiscreetly open the door to science and introduced an unworthy populace into its sanctuary?10, adding that «[…] Our souls have become corrupted while our arts and sciences have reached perfection” and “the same phenomenon has been observed at every time and in all places”11, considered that the encyclopaedists and the actual democratisation of knowledge were what should be combated because they had both taken Man from his natural state of innocence. Indeed Rousseau, unlike the neo-primitives that will be dealt with later, always presented this state as an analytical tool, a state that “perhaps never existed, which probably never will exist, and yet one that we need to understand in order to judge our current state properly”12. Babbage, who opposed Rousseau’s radicalism which petered out in England before merging into the Pre-Raphaelite reaction13, thought that it was not knowledge that threatened the social structure but in fact its absence. He criticised first the lack of scientific knowledge among the aristocrats of the House of Lords, who “[…] hold high rank in a manufacturing country” and who “can scarcely be excused if they are entirely ignorant of principles, whose development has produced its greatness”14, and secondly the economists themselves, for their poor understanding of the fundamental links between the economy and knowledge and between pure and applied sciences, understanding which should be based on new data such as the “division of intellectual work”. For Russell and Oppenheimer, it was not so much the structure of industrial production itself that mattered as the relationship between this industry strongly reliant on science (and therefore rationalised) and ever-increasingly irrational and warmongering policy that was no less ignorant than that described by Alberti and Babbage. It was partly the same for Wiener who went into the relationships between science, technology, the civil society and structure of production and work. Wiener’s advice to the American trade unions at the time, who were very involved in classical political contestation, passed unnoticed. Finally Ray Kurzweil decided that it was Singularity, based on a “law of accelerating returns” and described as “fundamentally an economic theory” 15, that enables analysis of economic structures, like that described by Babbage in The Economy of machines, but transposed to the age of computation. Philippe Morel , A.D. Wissner-Gross Diagram. “Recent advances in high-frequency financial trading have made light propagation delays between geographically separated exchanges relevant. Here we (A.D. Wissner-Gross and C. E. Freer) show that there exist optimal locations from which to coordinate the statistical arbitrage of pairs of spacelike separated securities, and calculate a representative map of such locations on Earth. Furthermore, trading local securities along chains of such intermediate locations results in a novel econophysical effect, in which the relativistic propagation of tradable information is effectively slowed or stopped by arbitrage. )The map shows Optimal intermediate trading node locations (small circles) for all pairs of 52 major securities exchanges (large Circles)”. Philippe Morel, The Last Earth. A speculation (2000-today) associated with my theory of Integral Capitalism and Computationalism, which acknowledge the end of the city. This might sound counter intuitive or counter factual as more and more people are living in cities, but in fact these cities are not cities anymore. They are floating and drifting post-urban magma, constantly moving according to the economics forces. 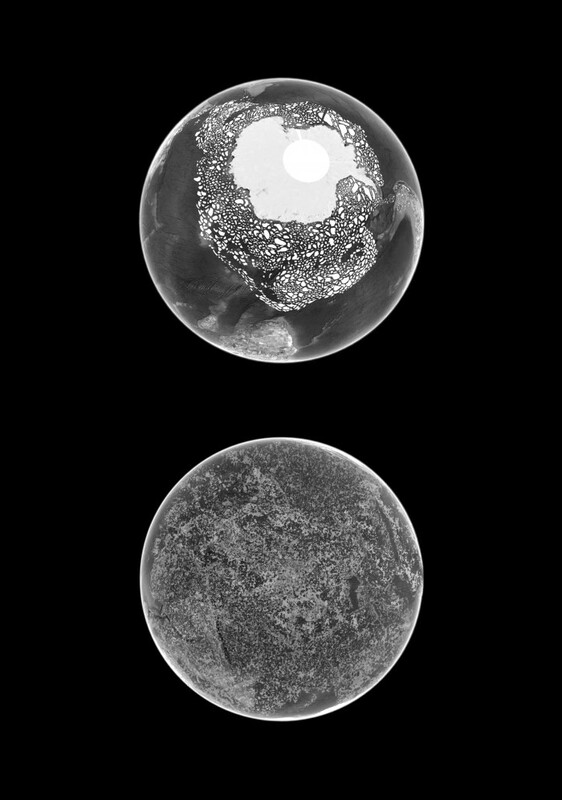 This post-urban scenario refers to the last spatial organisation that our earth will see. 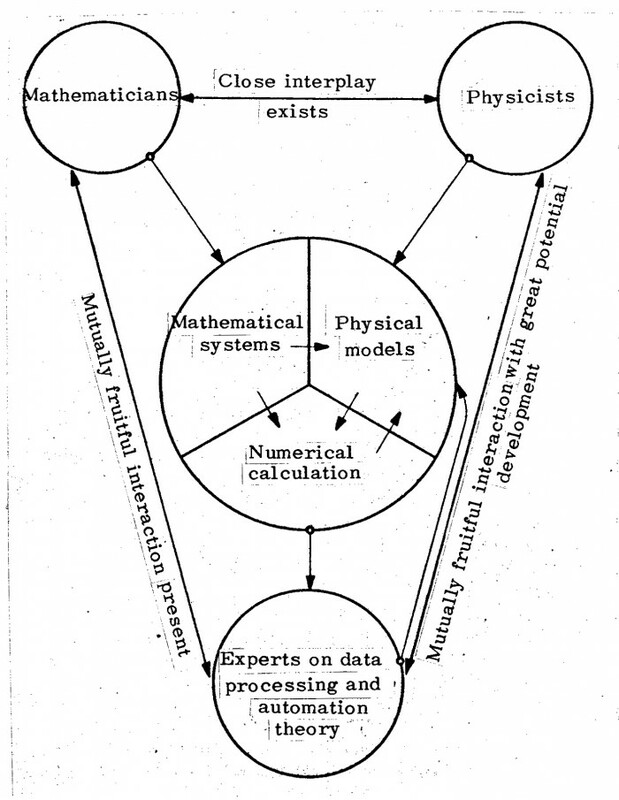 Philippe Morel , Konrad Zuse Diagram. Konrad Zuse, one of the fathers of programming languages and computing (including spatial computing) established a set of relationships between fundamental physics, mathematics and computation. 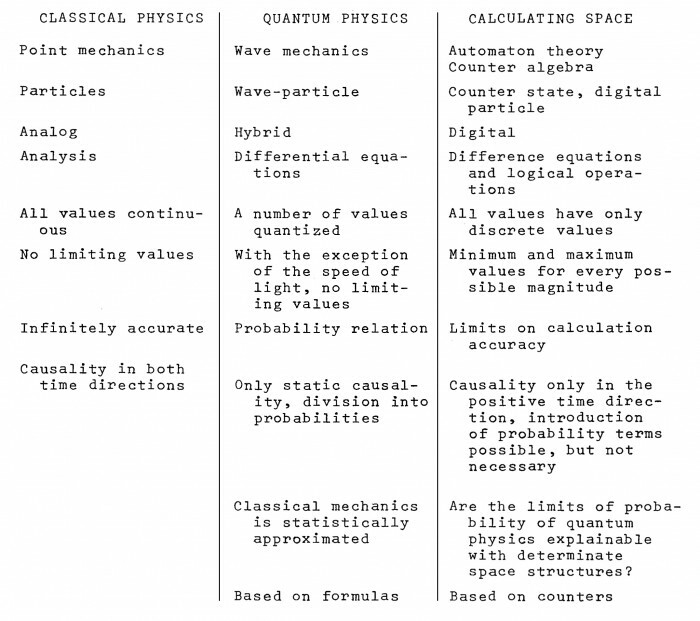 At some point he really opened a new conceptual era in computer sciences, leading to the contemporary research in non standard computation, including quantum computing. Understanding the situation is not only a way to begin a theory of resistance or revolution. It is the sine qua non condition and the ultimate goal. “It is not enough that thought should seek reality, reality must seek thought”, such seeking being the way to avoid ideological and bureaucratic distortion and subjective and idealistic relapses. While idealism too often masks ignorance, and subjectivity, as in a love affair, is merely a vulgar reaction against technological means of action that have not been mastered properly, technological idolatry is not a solution either for understanding the mechanisms of contemporary civilisation. It must be admitted that these are increasingly complex, since each component depends on an infinite number of others around it, interacting with it. Cybernetic feedback has become the fundamental law of contemporary economy and knowledge, especially if it is amplified by the stock market. Faced with such intricacy it is not surprising that alternately, spontaneous reactions occur: 1) radical contestation of all technological civilisation, as in neo-primitivism; 2) more muted criticism of the movement and promotion of a sort of “amnesty on movement” or a return to various former positions, as if Windows Restore Point could be applied to civilisation; 3) taking refuge in an ideal imaginary world like John Ruskin; 4) a return to political and social progressivism. Although it must be admitted that all these positions alike are doomed to fail, the diagnoses and cures for each of them are far from being the same. The second and third positions are still, as commented in 1955, “[…] fighting on the same ground, with the same weapons, which are exactly those of petit-bourgeois idealism. They each proudly defend the rank and eternity of their standards”. They merely offer boring, erudite, or at best virtuoso variations on problems beyond their understanding, and make the mistake of treating history with a-historic methods at the very moment when, precisely because it is a historic mutation, the end of history requires a historic method. Conversely, despite the fact that its radicalism failed, anti-industrial anarchism (which we will come back to) at least had the merit of endowing today’s events with the importance they deserve. Theodore Kaczynski, far more than his neo-primitive follower John Zerzan, is thus logical in his analysis of technology. He is well aware that a temporary halt or a return to a previous stage of technological development will change nothing. Although complete integration of technology dates only from the second half of the twentieth century, which precisely leads us to believe that an earlier, less radical stage of technical development could be returned to, it is clear that the new mentality emerging from the late twentieth and early twenty-first centuries will not be content with this. That would mean that humanity, after returning to the potential for technical evolution that it knew in the nineteenth and even eighteenth century, would busily try to reconstruct its lost world, at the same time blaming it! Spengler understood this: “ […] unlike generic techniques, it is one of the essential characteristics of man’s individual and modifiable technique that each discovery contains the potentiality and the NECESSITY to discover new things, that all satisfied wish wakes thousands of others […]”, and Kaczynski understood that too. He was not so naïve as to believe that if we abolish telescopes we will rediscover pre-Socratic mysticism in the stars, and that is why he theorises that the only solution is to destroy all technique and all the associated social and political structures. His understanding of the integrated nature of contemporary technology is lucid and that is why he should at least be read. Ray Kurzweil agreed, and so did Adorno when he drew attention to Spengler, who was also on the opposite side of the reader’s intellectual spectre. Understanding of this technological integration, the associated economy of which is by the way Integral capitalism and not Cognitive capitalism, is the only criterion for the radical branches of anarchist anti-industrialism – Neo-primitivist or not – and it is cruelly missing in the more modest forms of criticism described earlier. Even if, with all the historic significance of the term, a rationalistic Restoration or neo-Ruskinian idealism is encouraged, a historical and therefore evolutionist assessment of today’s developments cannot be arrived at: there is only confusion. By endowing the movement with an abstract character in the sequence of events and making it the sole cause of the progressive failure of western bourgeois democracy, we miss its “qualities”, pure quantity and speed being intrinsic ones. We refuse to see the nature of technology as the effect AND cause of an economic and social organisation, and the complex structure of knowledge which today is itself highly dependent on technology with the IT revolution. Thus, not only is it impossible to extract only what suits us from technology, but even more, it is impossible to separate the knowledge acquired by our civilisation, from its technology. This includes the anti-industrial literature published on the Internet! 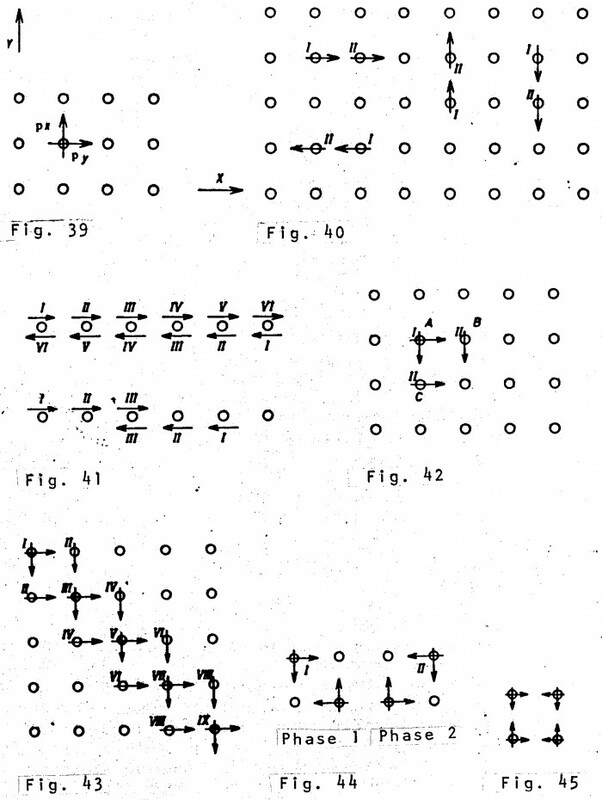 It seemed possible enough, with a bit of simplification, to operate such a separation until the IT revolution (except that there would not have been any Pasteur without powerful microscopes, no more than contemporary genetic science without computers). But today it is clearly impossible, both in theory and in practice. As we can see, the return to a pre-technological era of society is clearly impossible because of the very nature of the technique, which leads inevitably to a thirst for new techniques. Nor is it possible to return to an ideal moment of rationalism that is still sufficiently Universalist and distinct from capitalism and technology – a sort of “Hegelian” stage – nor to a pre-rationalistic moment – incarnated in the Renaissance and Baroque periods – either. There are several reasons for this: the first, important but rarely discussed, is that we do not see what moral argument there is for saying that the 80% of humanity that did not have the luxury of knowing about the Age of Enlightenment should suddenly decide that it is the ultimate goal of their civilisation, on the say-so of a few blasé intellectuals. The second reason is that we have already gone beyond Rationalism. The interdependence of knowledge and technology, which I also refer to as “Computationalism”, goes further than rationalism, while being based on the primacy of scientific knowledge that is inherent to rationalism itself. It is thus practically too late to take a step back, because the philosophical and cultural links between simple changes have been broken by jumping a ditch that is much too wide to cross back: the IT revolution. A revolution that has transformed the formal and political democratic process of the bourgeois revolution into an effective and social one. Thus what in time appears only a slight step backwards is, because of the true atomisation of contemporary society, a cultural gulf as difficult to cross as that separating us from the hunter-gatherers of the Neolithic age, which is where the Neo-primitives would like us to return. Indeed, if there are people tempted by Neo-primitivism, it is because the similarities between its hunter-gatherers and ourselves are just as seductive as the “absurd boundaries of race, nation and class” of the Golden Age of pre- and post-revolutionary rationalism, the very boundaries that rationalism never crossed because it refused to draw lessons from the French Revolution. Babeuf, to whom we will return when discussing his project of a “Perpetual Land Registry” and who, like the Jacobins, saw the revolution turn into just a formal reorganisation of civil society, already expressed doubts on this. Not only do “governments generally carry out revolutions just to govern”, but more specifically in law, he observed that “[…] the social laws have provided intrigue, trickery and dishonesty with the means of adroitly seizing common property”. The first step out of line signals the failure of any politician wishing to convince the people that it “can do nothing alone and will always need a government”. The second step out of line signals the failure of reason itself because, far from correcting the defects of natural laws, such as the randomness of births that justifies the Perpetual Land Registry, it helps to accentuate them. Falsely naïve, Babeuf addresses the bourgeois rationalists, asking “but if the social pact were really based on reason, should it not strive to abolish everything defective or unjust in the natural law”? As traditional politics is failing, some researchers and theoreticians are trying to propose alternative models which would prevent the most obvious drawbacks of politics, for example massive corruption, thanks to stochastic models. 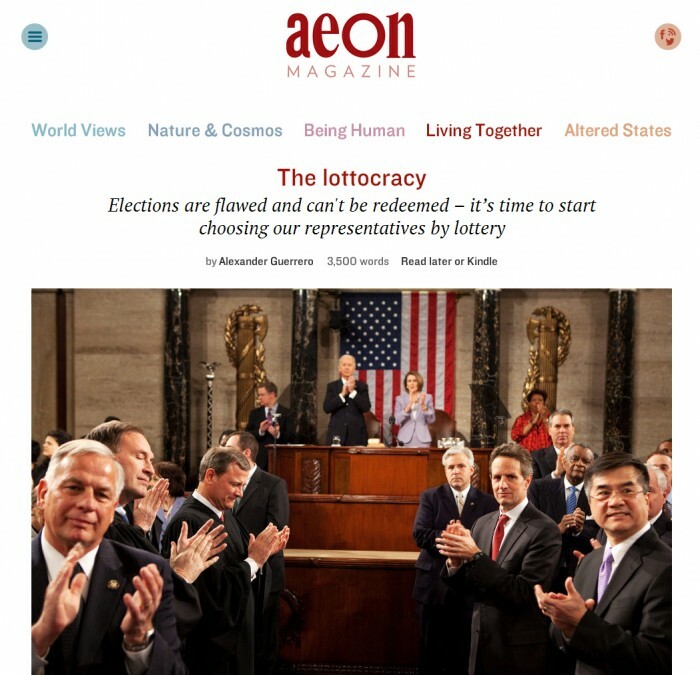 As it is discussed in the present essay, no traditional political model, based on human representatives, can be saved. It should be replaced by computational substitutes, providing equal shares of the global wealth in a strictly socialist manner. Such a model, contrary to previous experiments in USSR, would still be based on the market, as market is not a problem in itself. In 1969, M. McLuhan already noted that “in our rapidly changing environment, new technologies appear practically every month,” and that “one of the effects of this huge acceleration of change in human organisation is very well expressed by the saying ‘if it works, it is out of fashion,’ or that “When electronically controlled devices are perfected, it will be almost as simple and cheap to obtain a million different objects as to make a million identical ones.”36 He was observing empirical laws that have since been clarified and absorbed into common language under the names Moore law, Beta versions or non-standard production. McLuhan was not a precursor in this field – readings of My Discovery of America by Mayakovski37 or Babbage, as mentioned earlier, will confirm this – but what is interesting is that he makes a number of hypotheses on the future solely for the purpose of describing the present more accurately. Not only does he avoid the trap of historical approximation common to the non-specialist trying to cover the entire past38, his approach had the advantage of giving credit to all the avant-gardes of the twentieth century, starting with the biggest – Futurism. This relationship, which today concerns the parallel evolution of the infinite divisibility of electronic money and the ever more refined discretization power of computers – following the self-accelerating law described earlier –has developed so much that most of the earlier economic laws have become obsolete. It is this unprecedented transformation that is the main source of today’s crisis. Virtual money, which must not be confused with value,43 is now regulated by knowledge and calculation power. Its growth is based on geometric progression laws while the growth of value is based on arithmetic progression ones. The gap is so great that it has become the San Andreas Fault of the economic and social world, an abyss in which economic and social theory got lost, due both to the intrinsic difficulty of the theoretical reconstruction and to out of date hypotheses and methods. The discrepancies between various social existences, life expectancies and many other parameters have reached cataclysmic proportions. When logic was “the money of the mind,” counting was still the ascetic part of human activity, forming “the religion of this generation, its hope and its salvation.”44 The spirit of capitalism was the sum of the minds of the capitalists. In Integral Capitalism, on the other hand, computation – where the symbol includes the number – has replaced calculation and electronic money has replaced money: computation is the currency of the computer and since the computer becomes ALL it is the identity of money. 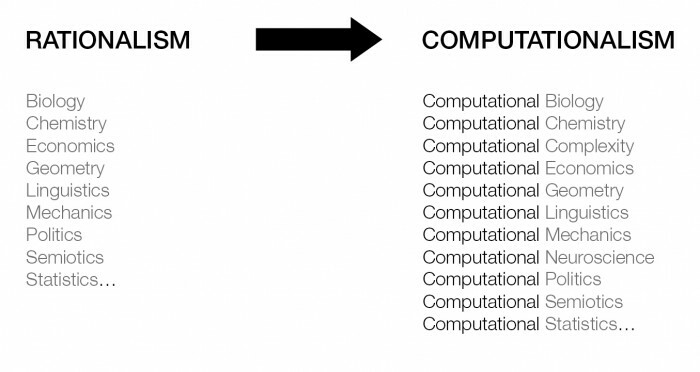 Computation is the new universal equivalent of which machine time is merely the most concrete side, the “post-historic” equivalent of Marx’s work time. Computational finance and computational resources allocation platforms like Gridbus are constantly bringing new empirical proof. Computation that integrates physics, mathematics and money has replaced the Greek juxtaposition of geometry, philosophy and coinage. Physics, mathematics and money are a single thing, the new “(non)subject” of the “automated subject” the older of which was the folklore of finance. The traders in the old 6 stockmarkets, shown occasionally on television, have become the new “savages,” with their telephones cradled between ear and shoulder like so many feathered headdresses or belts decorated with bananas. Confronted with this trend, which I named “Pangaea in the era of informed matter” ten years ago without realising its full extent except intuitively, politics has as much effect as a group of hauliers and the “political theorists” the clairvoyance of foremen… We understand too much and too little of computationalism, just like for rationalism three centuries ago. Too much not to see the dangerous pre-Marxist “explanation of religion by belief” in the ideological lies of the liberals. Too little to avoid seeing proliferation of illusionary replacement solutions labelled as “practical theories of resistance”, and to avoid “the end of all understanding of the facts” being “peddled as a ’liberating fantasy’, and perplexity being peddled as anti-dogmatic modesty”45. Finally, computationalism as I understand it, this time not as a label for the present state of civilisation but as a theory, must be a social theory: a theory devoid of the technocratic nature of cybernetics, no less effective than the computer itself and no less concrete than Babeuf’s Perpetual Land Registry project. This project, one of the only distant descendants of which was Broadacre City, can be seen as the most fantastic political theory produced in the form of an “urban” theory. 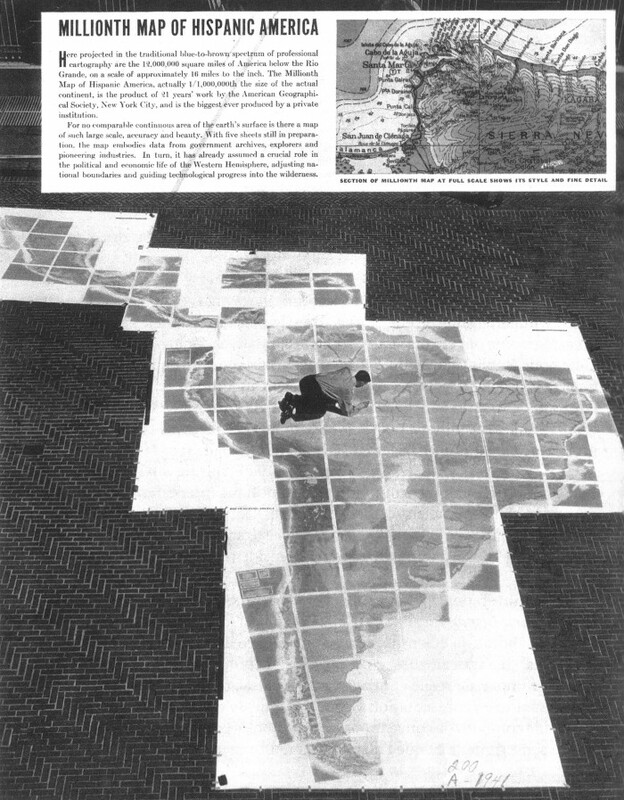 Of all the projects up to the Situationist movement, the Perpetual Land Registry is the one that best addressed the social lie of all social lies, that of the rarity of land and its string of consequences. 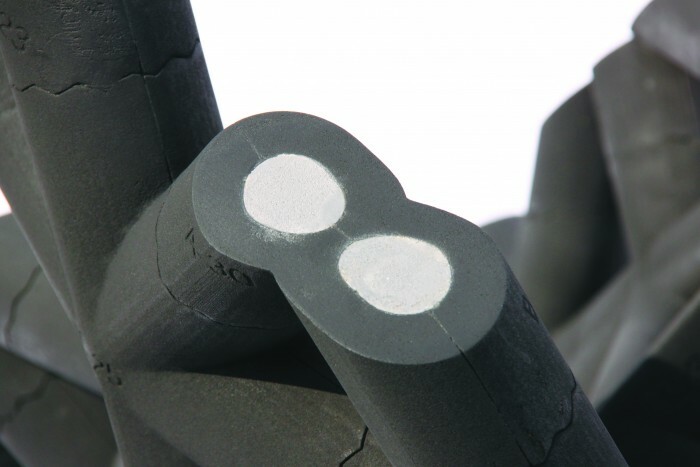 A cable robot developed at INRIA in France, whose model is now used in a joined research between the Ecole nationale superieure d’architecture Paris-Malaquais, INRIA and ENSAM. 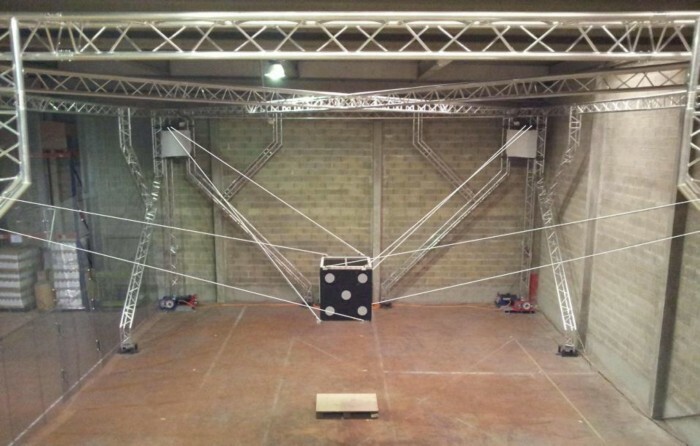 The aim of the project called DEMOCRITE is to develop large scale and heavy load robotics systems dedicated to 1:1 scale 3D printing in architecture. The radical solution proposed by Babeuf was to divide all the land up to ensure a share to everyone that would be “made inalienable so that each citizen’s property would always be guaranteed and un-losable”. Since by sharing out the French territory there would have been around eleven acres per family of four at that time, Babeuf asks with false innocence “what charming manor would each family have enjoyed? A question that Wright and more modestly Melnikov would ask a century and a half later and that today’s computational resources require us to ask again. In our profoundly algorithmic economy, where algorithms tame the turbulence of the markets, and the 700,000 billions’ worth of financial products in circulation – derivatives, shares etc., every square meter of culture and cubic meter of natural resource, and ultimately, a mass of global information that is vastly more than the human mind can conceptualise, what is delaying the production of a social theory based on the knowledge and the means of our era? Here, positivism, stripped of all theoretical and scientific basis”, “recycled in a new pragmatic realism and recognition of the market and the motor of profit, considered as the ultimate and indispensable,” there, an “academic left […] as threadbare as the ‘movementist’ Marxists that play at politics” and which, depending on the public, drops titbits of historicism and abstract criticism of movement. The sole purposes of this text are to insist on the idealism of the second option and to show its counter-productive theoretical nature. 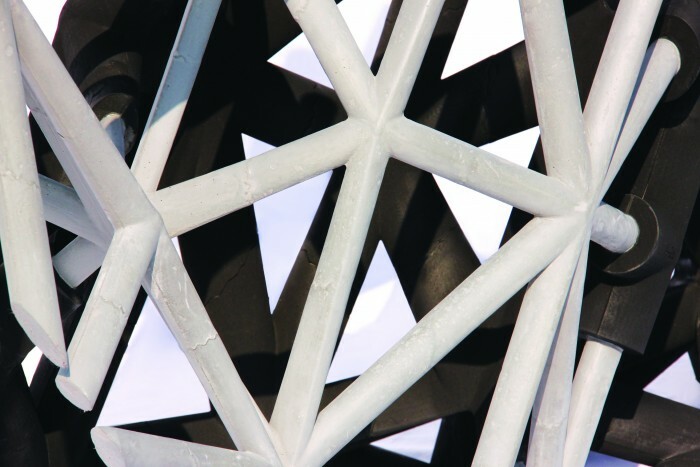 Philippe Morel is the founder of EZCT Architecture & Design Research. 1 Guy Debord, Considérations sur l’assassinat de Gérard Lebovici, Editions Gérard Lebovici, Paris. The complete quote is: “But, like the proletariat, I am not supposed to be in the world. Thus Gérard Lebovici is immediately suspected of having dangerous commerce with ghosts. The defeat of rational thought, so obvious and so deliberately sought in the spectacle, causes any practice outside the official magic organised by the State or the omnipresent mirror of the world where everything is presented the wrong way round, to be vilified as black magic, or collaboration with the obscure forces of the ￼gurus, the Voodoo and so on. Saying that two and two make four is becoming a revolutionary act. Dare we, in France, think outside the frame? NO – terrorism! 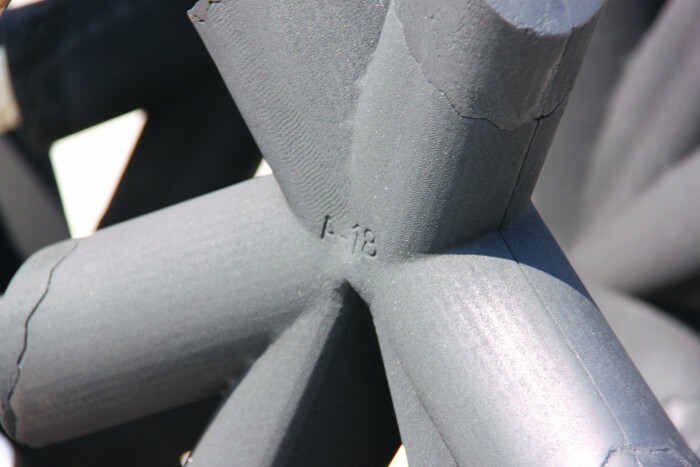 The outside is wrong, and the frame – built by the government – is right”. 3 We should remember the refusals of Gilles Deleuze, Thomas Pynchon or Guy Debord to appear on TV, especially in political or cultural programmes. 4 “[…] Here we see that solipsism, rigorously developed, coincides with pure realism. The Ego of solipsism is reduced to a point without extension, and it remains the reality that coordinates with it”. L. Wittgenstein, quoted by Ralph Rumney, in. Le Consul. 5 Mustapha Khayati, De la misère en milieu étudiant considérée sous ses aspects économique, politique, psychologique, sexuel et notamment intellectuel et de quelques moyens pour y remédier, by Members of the Situationist International Congress and the students of Strasbourg, 1967. § “Create at last the situation that makes any return to the past impossible”. 6 Karl Marx, German Ideology. 7 In. Empire, quoted by A. Jappe and R. Kurz, Les habits neufs de l’Empire. Remarques sur Negri, Hardt et Rufin, Editions Léo Scheer, 2003. 8 In his preface to Alfred Sohn-Rethel : la pensée-marchandise, Editions du croquant, 2010, Anselm Jappe recalls that Sohn- Rethel, whose critical project paralleling that of Adorno was a “criticism of money”, confronted the taboo represented by this criticism. Thus he writes that Sohn-Rethel, refusing the abstraction of the categories of understanding out of their context “brings us back to the blind action of what has governed societies over the past two thousand five hundred years: money. And this criticism of money is still as taboo today as it was in the German universities in the time of Husserl and Heidegger”. 9The complete quote is: “from now on, all the sciences, all the liberal arts, the sacred training of minds, have collapsed because they have become servile: law, the religious sciences, knowledge of nature, moral principles and the other remarkable fields where the thought of free men is bartered. Ah, what a terrible crime! We see pathetic creatures flocking to sell off literature, and men, what am I saying?- innumerable beasts- made for servile tasks, emerging from the countryside and the woods, even from the mud and filth, leaving their holes and rushing like a pack of dogs to sell and profane literature. What a disaster for culture! People who should have dug and raked have the incredible impudence to touch letters and books! And those whose job it was to guard over the livestock and clean the stables peremptorily discuss human fortune; those who should have whipped the flanks of the animals are now holding the sceptre and sitting among the magistrates; and finally, for people that differ from animals only by appearance and the place they claim, not by their attitudes, a thin icing of culture is enough for them to advance in the world with the audacity, as the poet says, of a pack of wolves […] is it thus that you, the nurse of letters, O philosophy, provide and submit to the desires of the lowest and most abject individuals?”. L. B. Alberti, Avantages et inconvénients des lettres, trad. fr. Christophe Carraud, Rebecca Lenoir, Editions Jérôme Millon, 2004. 10 In. Discours sur les sciences and les arts, 1750. 12 In. 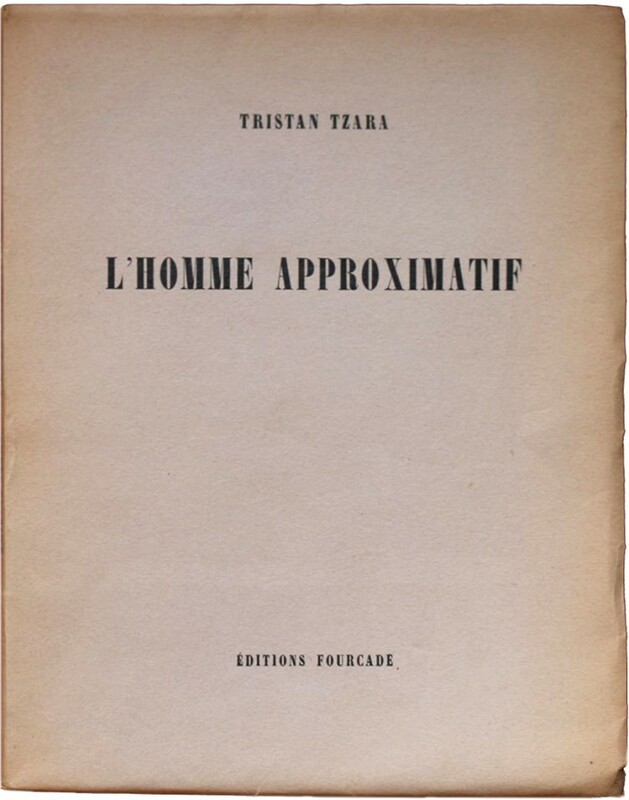 Préface au discours sur l’origine et les fondements de l’inégalité parmi les hommes, 1755. 13 We know how much this movement influenced Arts & Crafts. 14 Charles Babbage, Preface to The Economy of Machinery and Manufactures, Charles Knight, 1832, p. V. “Those who possess rank in a manufacturing country, can scarcely be excused if they are entirely ignorant of principles, whose development has produced its greatness”. 15 “The law of accelerating returns is fundamentally an economic theory. Contemporary economic theory and policy are based on outdated models that emphasize energy costs, commodity prices, and capital investment in plant and equipment as key driving factors, while largely overlooking computational capacity, memory, bandwidth, the size of technology, intellectual property, knowledge, and other increasingly (and increasingly increasing) constituents that are driving the economy”, in. Ray Kurzweil, The Singularity is Near, Viking, NY, 2005. 16 Marie-José Durand-Richard notes that “the chapters on ‘division of work and manufacture’ and ‘machinism and large scale industry’ in Capital are based on Babbage’s analysis” in. Marie-José Durand-Richard, « Le regard français de Charles Babbage (1791-1971) on the ‘Decline of Science in England’ », in Documents pour l’histoire et les techniques, n° 19 (2nd quarter 2010), Les techniques et la technologie entre la France et la Grande-Bretagne XVIIe-XIXe siècles. 17 Anselm Jappe and Robert Kurz, Les habits neufs de l’Empire. Remarques sur Negri, Hardt et Rufin, Editions Léo Scheer, 2003. 18 “Singularity is not about faith, it is about understanding”, Ray Kurzweil. 19 Mustapha khayati, De la misère en milieu étudiant, considérée sous ses aspects économiques, politique, psychologique, sexuel et notamment intellectuel et de quelque moyens d’y remédier, by Members of the Internationale Situationniste and students from Strasbourg, 1967. § “Finally create the situation that makes it impossible to return to the past”. 20 Mohamed Dahou, Guy Ernest Debord, Potlatch n°21, 30 juin 1955. 21 O. Spengler, Man and Technique, 1933. French tr. by Editions Gallimard, Paris, 1958. 22 “The layman reading Spengler as he had done previously for Nietzsche and Schopenhauer, had become meanwhile a stranger to philosophy; the professional philosophers stuck to Heidegger, who gave a more successful, interesting expression to their depression. It ennobled the death decreed by Spengler with no consideration for the person, and promised to transform thought on death into a mystery that must be administered by the academic. Spengler was no longer a participant: his brochure on Man and Technique no longer competed with his day’s cleverly expressed anthropology. His relations with the National Socialists, his quarrel with Hitler and his death all went unnoticed […]”.Theodor W. Adorno, in. Prismes, Payot, 1986. Here it should be noted that Adorno had enough intelligence to limit his own “cultural pessimism”, something that Heidegger’s philosophy preferred to forget. That defect is today a proudly exhibited certificate of authenticity brandished by all professional pessimists: “Cultural pessimism did not die with Fascism. On the contrary, it is only today that, in the form of ontologic fundamentalism and criticism of science and civilisation, that it has gained greater plausibility, given the undeniable importance of its old criticism of the destruction of life’s natural foundations. It has always transformed this criticism into ontology, on the ground that ‘a natural world order’ had to be preserved, with all the reactionary features typical of this thought”. Robert Kurz, in. L’honneur perdu du travail. Le socialisme des producteurs comme impossibilité logique. 23 Cf. Philippe Morel, The Integral Capitalism (from the Master’s Thesis Living in the Ice Age, 2000-2002). English translation, with a new introduction, published by Haecceity, Quarterly Architecture Essay (QAE), Volume 2/Issue 2, Winter 2007. Available at www.haecceityinc.com. The concept of cognitive capitalism barely touches on the nature of today’s capitalism and its dependence upon computing power and the global technological infrastructure. Thus it ignores “robot trading” or algorithmic trading against which it is theoretically powerless, and many other phenomena. 25 “A further reason why industrial society cannot be reformed […] is that modern technology is a unified system in which all parts are dependent on one another. You can’t get rid of the ‘bad’ parts of technology and retain only the ‘good’ parts. Take modern medicine, for example. Progress in medical science depends on progress in chemistry, physics, biology, computer science and other fields”. Theodore Kaczynski, The Unabomber’s Manifesto, quoted by Ray Kurzweil. 26 F. Nietzsche, Rough copy of a Letter to Georg Brandes, December 1888, in. Last Letters, Winter 1887-Winter 1889, Editions Manucius, p. 192. 27 Gracchus Babeuf, Le tribun du peuple, n°40, février 1796, in. Babeuf, Textes choisis, Editions sociales. 28 Gracchus Babeuf, Le cadastre perpétuel, 1789, in. Babeuf, Textes choisis, Editions sociales, p. 97. 33 Anselm Jappe, in. Politique sans politique. 34 F. Nietzsche, Rough draft of “Letter To the Emperor William II”, December 1888. In. Last Letters, Winter 1887-Winter 1889, Editions Manucius. 36 Marshall McLuhan, Mutations 1990, Tr. Fr. Editions Mame. 37 Vladimir Mayakovski published this work in 1926. The passages on the telephone that transforms the whole world into a village in which each person can, as if in the main square, talk about the weather although they are thousands of kilometres away from each other, is a forerunner of McLuhan’s analyses. 38 McLuhan fell into this trap, but most of his speculative hypotheses remain valid. Cf. Sidney Finkelstein, Sense and Nonsense of McLuhan, International Publishers Co., Inc., New York, 1968. 39 Cf. Ph. 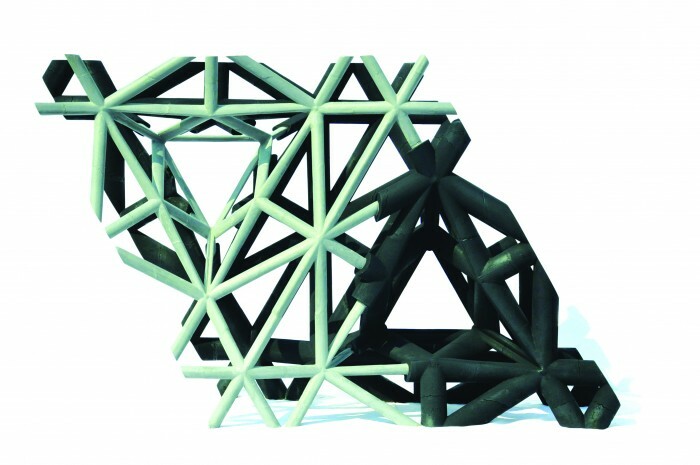 Morel, L’Architecture au-delà des formes : le tournant computationnel (Architecture beyond Form: The Computational Turn), exhibition, Marseille, 2007. 40 Karl Marx, Manuscripts from 1844, tr. Fr. Emile Bottigelli, Paris, Editions sociales, 1972, p. 130. Quoted by par Anselm Jappe, in Alfred Sohn-Rethel : la pensée-marchandise, Editions du croquant, 2010. 41 Alfred Sohn-Rethel : la pensée-marchandise, Editions du croquant, 2010. Preface by Anselm Jappe. 42 Cf. George Thomson, The First Philosophers, Lawrence & Wishart, London, 1955. 43 Cf. the German school of “Criticism of Value” (Wertkritik) and Anselm Jappe, Les aventures de la marchandise. Pour une nouvelle critique de la valeur, Denoël, Paris, 2003. 44 Gertrude Stein, “Counting is the religion of our generation, its hope and salvation”. 45 Robert Kurz, L’honneur perdu du travail. Le socialisme des producteurs comme impossibilité logique. 46 I. S. n°6, Août 1961, p. 11. 47 Claude Mazauric, introduction to Babeuf, Textes choisis, Editions sociales. 48 Gracchus Babeuf, quoted by Claude Mazauric, in. Babeuf, Textes choisis, Editions sociales. 49 Rousseau, In. Discours sur l’origine et les fondements de l’inégalité parmi les hommes, Part II, 1755.